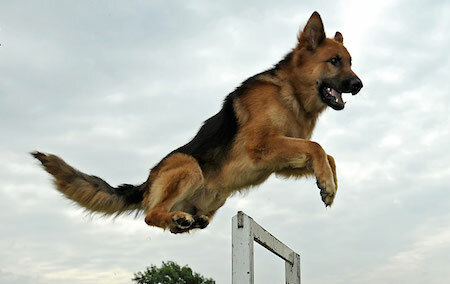 Currently Bulletproof Dog Training is looking to expand into other areas in the United States. If you feel you have what it takes to become one of the best trainers in the world do not pass up this opportunity. If you are chosen to become the owner of a location, in your area, you will go through an extensive training program to make sure you are top notch in the field of dog training. If you are hard working, dedicated and enjoy working with K9s you could make over 200k a year or more. Keep in mind it will take a lot of hard work from you but the reward is worth the risk. I have been training for over 17 years and have a lot to share and pass on to the right people. There is an expense involved but what new business does not have an expense to get started. We provide you with hands on training, 4 weeks, working as many as 30 dogs during the time you are here at our Ohio location. You will work with large and small breeds along with some that are a little over the top. Do not worry we take safety very seriously here at the training location. The 4 weeks will be a lot of work and time but well worth it, when you see what you can achieve in that amount of time with this many dogs. We will teach you everything you need to know about training a dog. We will also provide you with room and one meal per day. You will receive a website ready for your location, this does not cost you anything more than $50 a month. The website is designed already and all you have to do is activate it. We will help you with that as well. We will teach you how to market your location so that you can achieve the most amount of money possible. With our marketing strategy in place it is a win for you. We provide you with 7 shirts and two sweatshirts, if you want more we have a graphic designer in place for you. Each location cost $30k and there is 10% per month with a minimum of $500 a month whichever one is greater that is paid to the owners of Bulletproof Dog Training. Must get insurance and an LLC in place to be a business. We will help you with this also. (Your state of residency will determine of the cost of an LLC, and insurance is about $400 a year) You are responsible for airfare to and from the training location. Rental cars would be at your expense, we will provide transportation to and from hotel each day and can pick you up at the airport. 20% down and 24 months to pay with 7% interest on remaining amount.